29. The area of the shaded region in the figure is equal exactly to ln 3. If we approximate ln 3 using L(2) and R(2), which inequality follows? 30. Let We estimate A using the L, R, and T approximations with n = 100 subintervals. Which is true? (E) The order cannot be determined. 36. 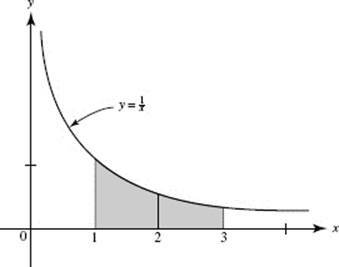 Find the average value of function f, as shown in the graph below, on the interval [0,5]. 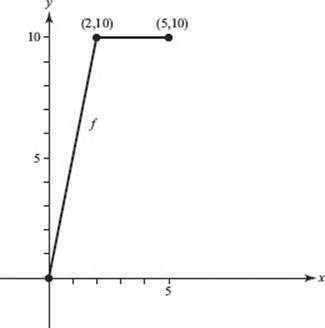 Use the graph of function f, shown below, for questions 39–42. 39. In which of these intervals is there a value c for which f (c) is the average value of f over the interval [0,6]? 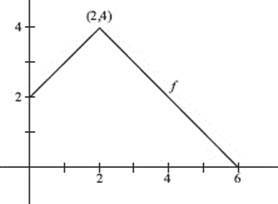 (E) does not exist, because f is not differentiable at x = 2. 51. When is estimated using n = 5 subintervals of equal width, which is (are) true? 52. 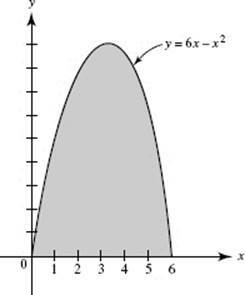 Find the value of x at which the function y = x2 reaches its average value on the interval [0,10].